California car no rust, super straight body. 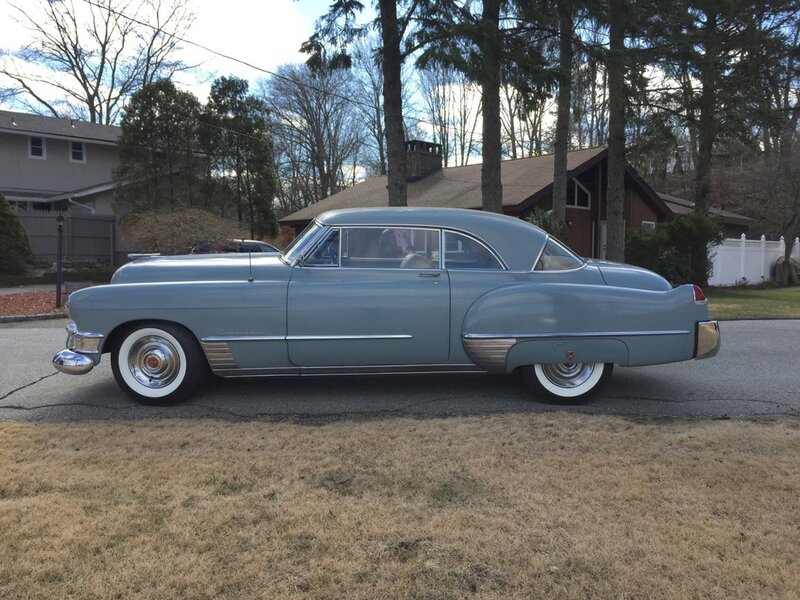 Probably the best original ’49 Coupe de Ville in existence. Original paint, chrome and mechanics all very, very nice. 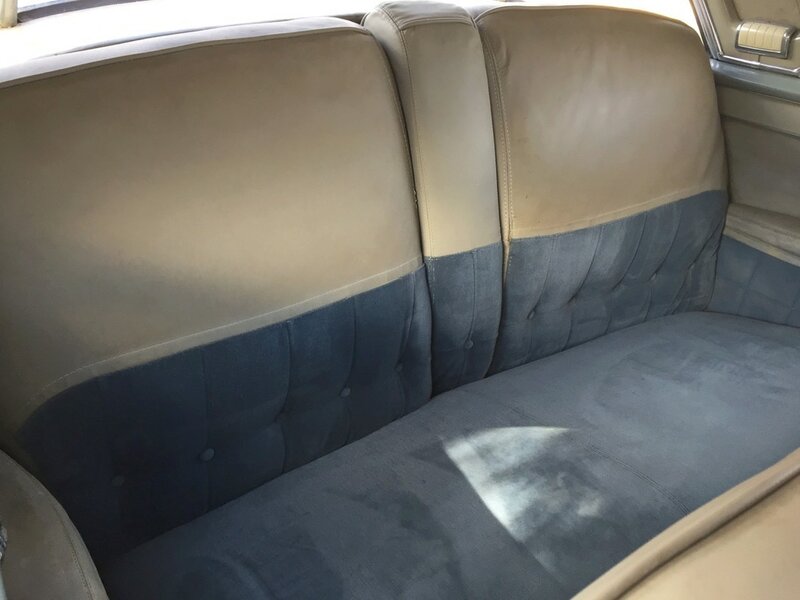 Seats reupholstered. 63,000 original miles, strong and reliable. Power seat, windows and antenna. Butler bell. 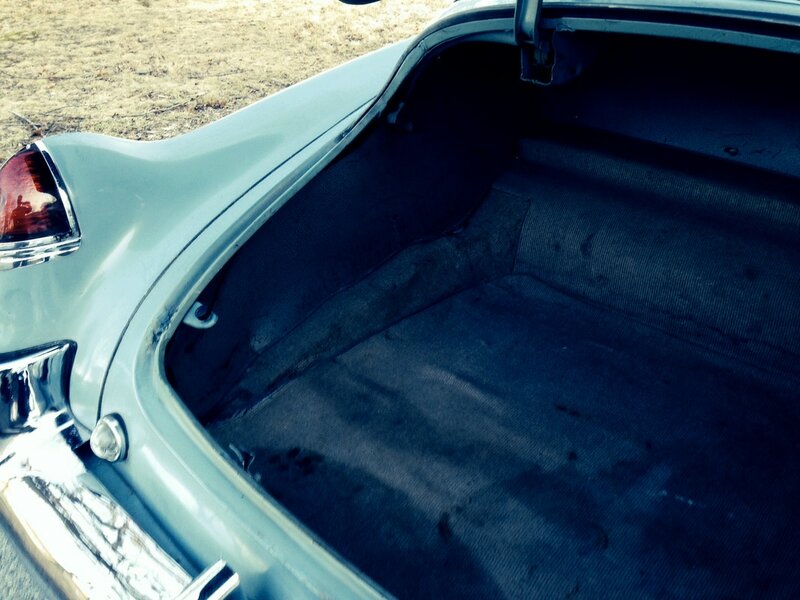 Car comes with original jack, spare and 2 extra windshield panels. Choosing an outstanding “car of the year” for certain years past may be difficult, but for 1949 the selection is narrowed down to three most worthy of consideration: Ford, Oldsmobile and Cadillac. CLICK HERE for a partial overview of the docmented file. A doctor’s daughter, Minna Gombell was born on May 28, 1892 in Baltimore, Maryland. She had a very successful stage career from 1912 to the end of the 1920s. She often appeared in comedic roles, almost always in leads. She had a reputation as a fast learner, capable of reading and comprehending a script in a matter of hours. This ability served her well as an understudy early in her career. She made her first Broadway debut in 1913 in “Madam President” and later appeared in several stage productions of Myron C. Fagan. Fagan arrived on Broadway in 1907 as one of the youngest playwrights. He worked with John Barrymore and Douglas Fairbanks. 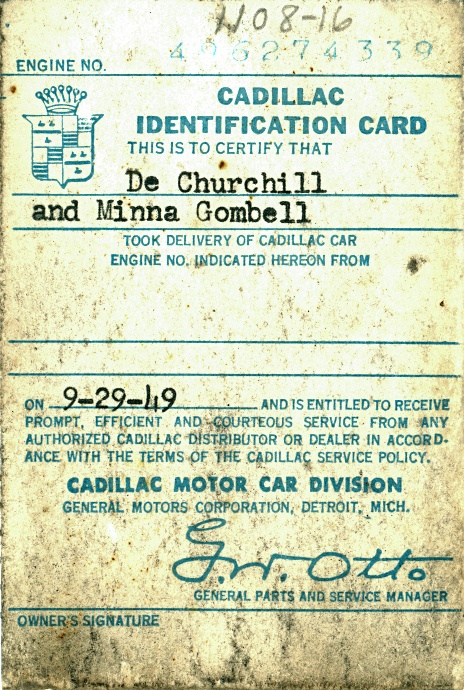 According to the Internet, Minna Gombell was married to Fagan but according to one of the letters from the car’s second owner (Fagan’s son, Bruce), they had intended to be married but Fagan’s wife did not permit their divorce. Several pictures of Minna with Fagan, his wife and son are posted on the webpage herein along with the letters from Bruce Fagan. 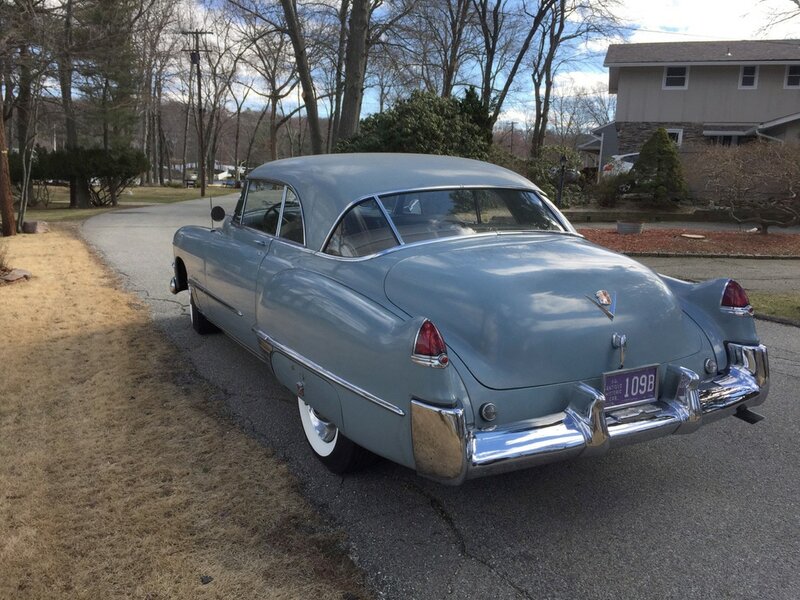 Bruce Fagan was also a playwright and also worked as a subcontractor, writing articles for “Old Cars Weekly.” “Old Cars Weekly” had published Fagan’s article about the 1949 Coupe de Ville while he owned this car and pictures of this particular car appear in that article. A copy of that article with the picture is also included herein. In the late 1920s, Minna made the transition from stage to the screen as she contracted with Fox Film Corporation. She appeared in many well known movies including Laurel and Hardy’s Blockheads, The Thin Man, The Best Years of Our Lives, Boom Town, The Snake Pit, Hello Sister, Doctor’s Wives, The Hunchback of Notre Dame, High Sierra and many others. She appeared alongside Myrna Loy, William Powell, Clark Gable, Humphrey Bogart, Spencer Tracy, Cesar Romero, Claudette Colbert, Hedy Lamarr, Joan Bennett, Maureen O’Sullivan, Olivia de Havilland and many others. 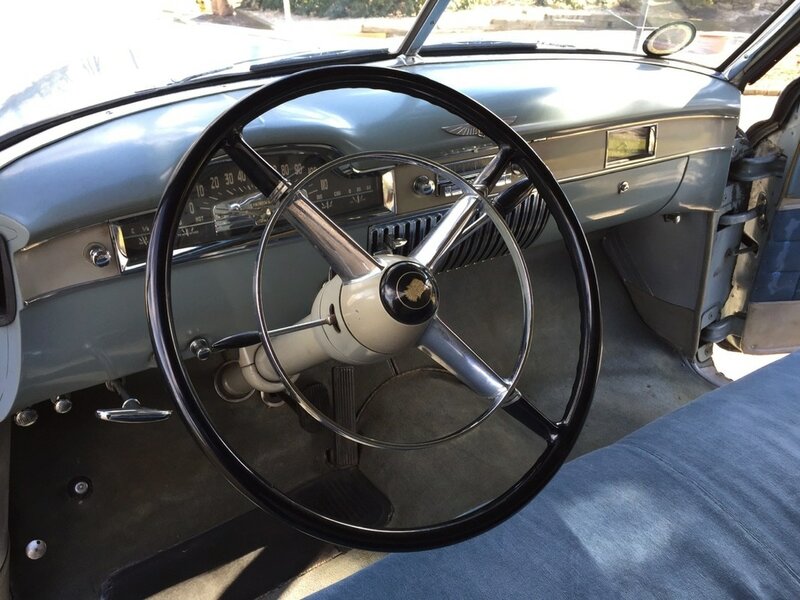 Gombell and Fagan were close personal friends with Gary Cooper, Tyrone Powell and Daryl Zanuck who also owned 1949 Coupe de Villes according to Bruce Fagan. 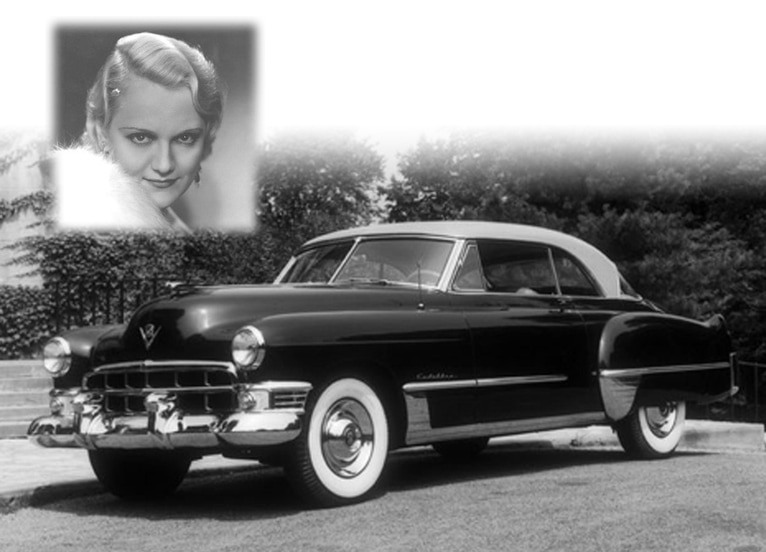 Zanuck’s wife had an illness during the late 1940s and he bought the Coupe de Ville opposed to the Series 62 Convertible for that reason. A list of some of Gombell’s movies, some of which have links to the actual movie or movie scenes are included within this site. 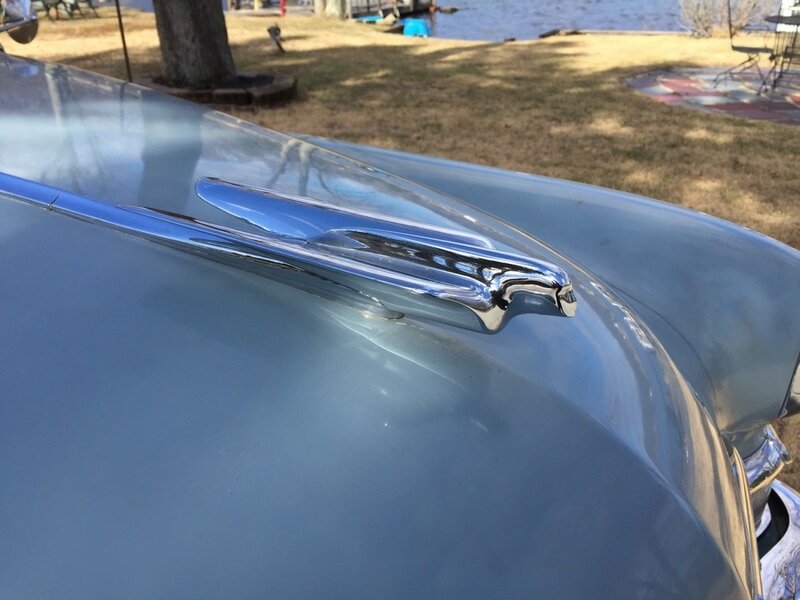 Also included are links to “The Story of the Coupe de Ville” which features the Coupe de Ville prototype and the background story of the de Ville development and the 1949 de Ville according to the owner of the prototype (He begins speaking about the actual Coupe de Ville at frame 1:27 if you want to get there directly). An interesting note about Myron C. Fagan, allegedly after seeing evidence including documents, he believed there exists a government conspiracy among several nation’s leaders. He believed these leaders were working toward “one world government” under complete rule of communism. He also believed that wars were planned for the purpose of “thinning out existing and future populations” as well as a “money making scheme” for the elites. He referred to the elites as the “Illuminati” which is a term used today for that particular group of people. According to Fagan, the Russian Imperial Romanov Family (Tsar Nicholas II) and his family were murdered by the Illuminati since Nicholas II would not cooperate with their scheme. Perhaps the “Red Scare” was the result of our government attempting to “throw off the scent.” Between 1967 and 1968, Fagan recorded “The Illuminati and the Council on Foreign Relations,” three LP records about the activities of the house of Rothschild known as the Illuminati.” One of Fagan’s presentations can be heard at https://www.youtube.com/watch?v=ForvEyNABs8. The others are probably on youtube.com as well. He talks about the Press and Hollywood and the Government as part of a conspiracy to get the American Public to believe what they want us to believe. Fagan wrote two plays on this subject but they were immediately removed from production after their initial opening. Fagan died on May 12, 1962 in Los Angeles, California and Minna Gombell died on April 14, 1982 at the age of 80. She died in Santa Monica, California. 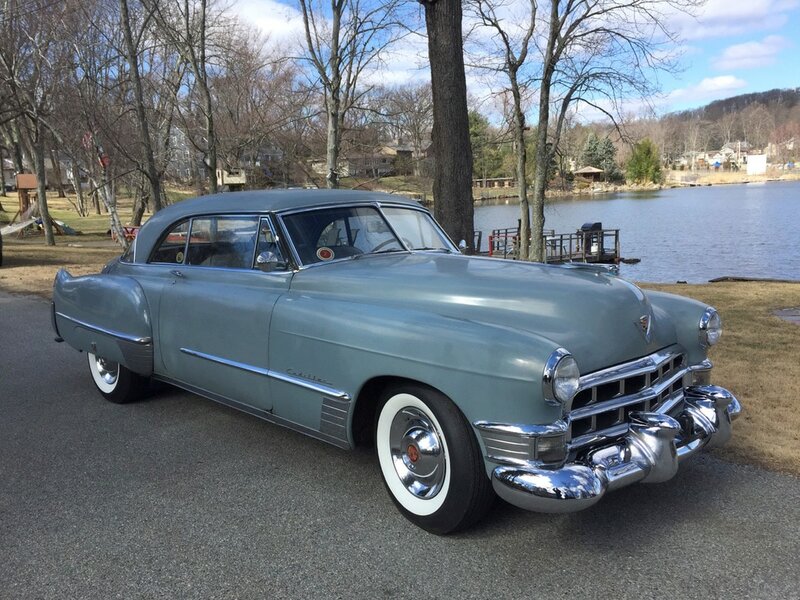 The 1949 Coupe de Ville prototype appeared at the 1949 Auto Show which was held in Paris, New York City and Detroit. Harley Earl, the creator/designer of the Coupe de Ville, pushed to launch this show as it was the first auto show since World War II. 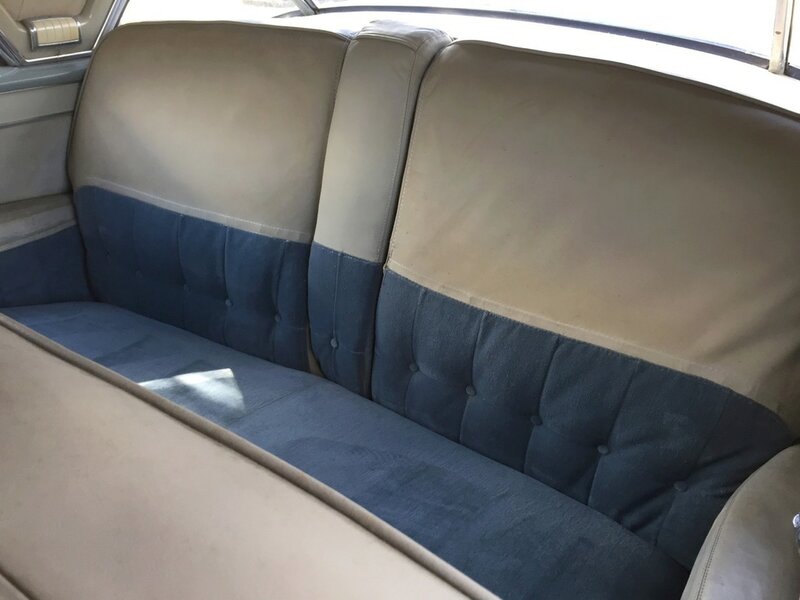 While he exhibited the Coupe de Ville prototype there, he learned that many of those who had been driving convertibles, did so merely because they had greater visibility than automobiles with pillars. 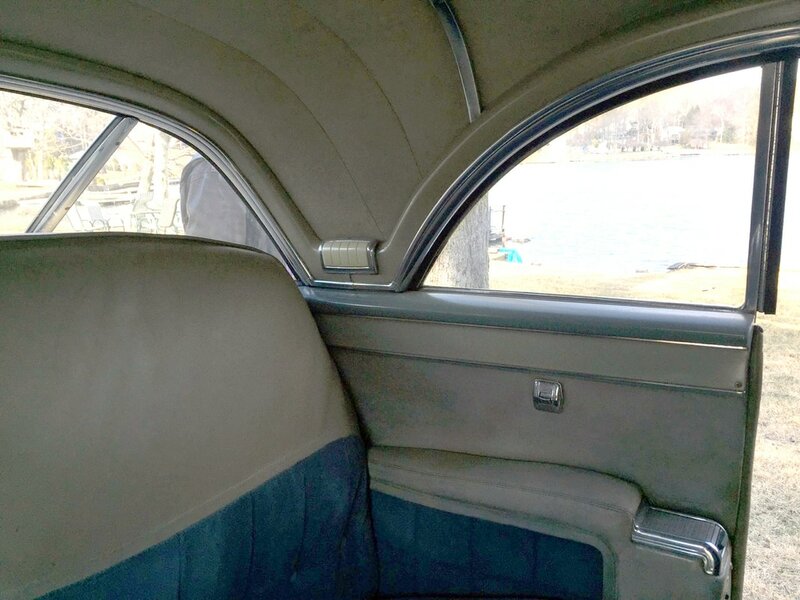 The Coupe de Ville was so well received, that Earl put the car into production at the end of the 1949 production year. 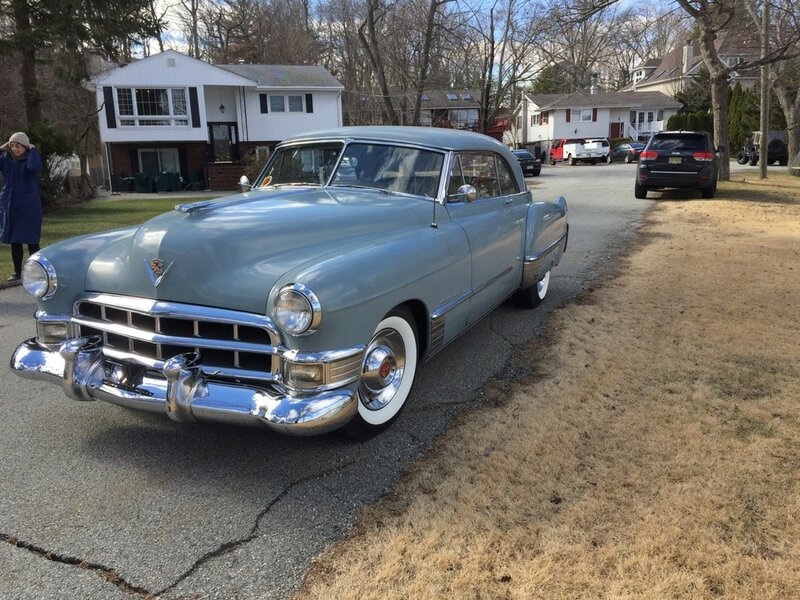 The 1949 Coupe de Ville is very rare and only few exist today. 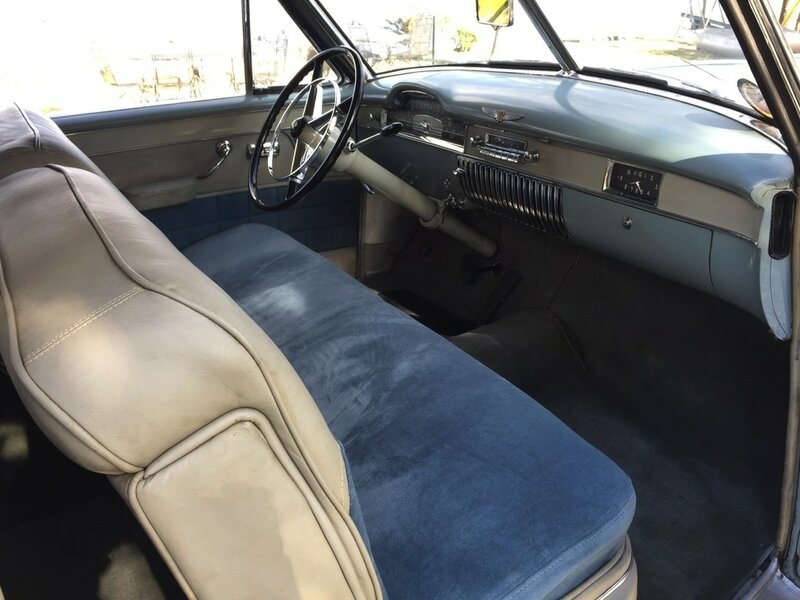 This particular one is all original with the exception of the upholstery of the seats. 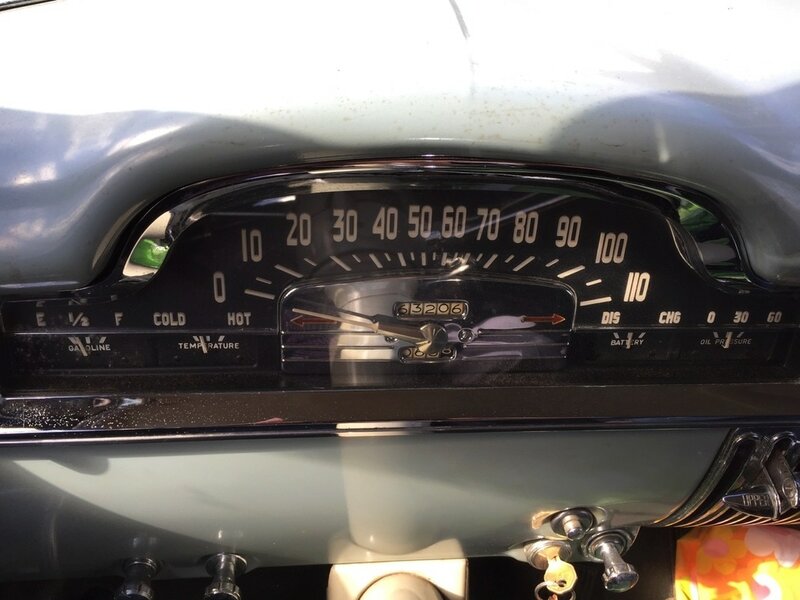 It has 63,000 original miles. It is super, super straight. Though the paint is thin, it is original and is truly a survivor. The car starts right up and runs like a top. It handles superbly. 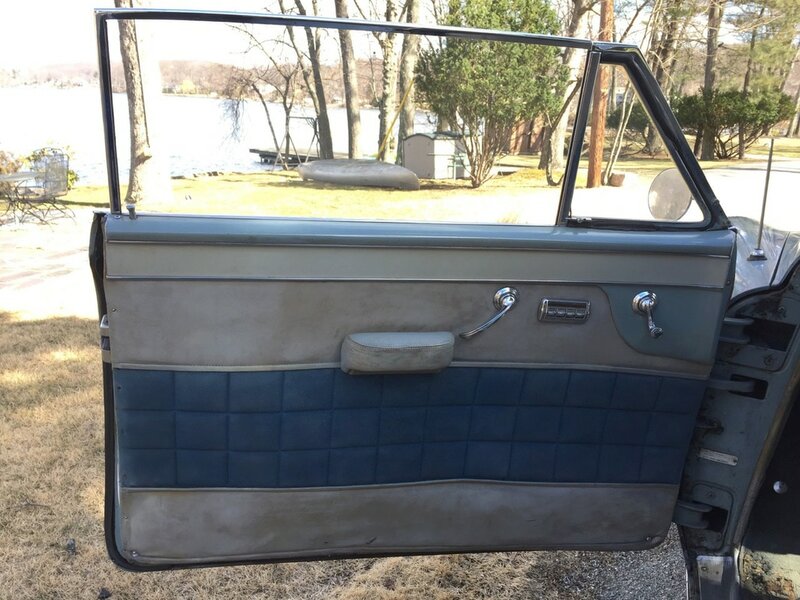 Some would say it needs new paint but many collectors today would rather see a car of this caliber remain with the original paint as it “flaunts” its’ unabused, unmolested, unadulterated, never rusted or dented survivor status. 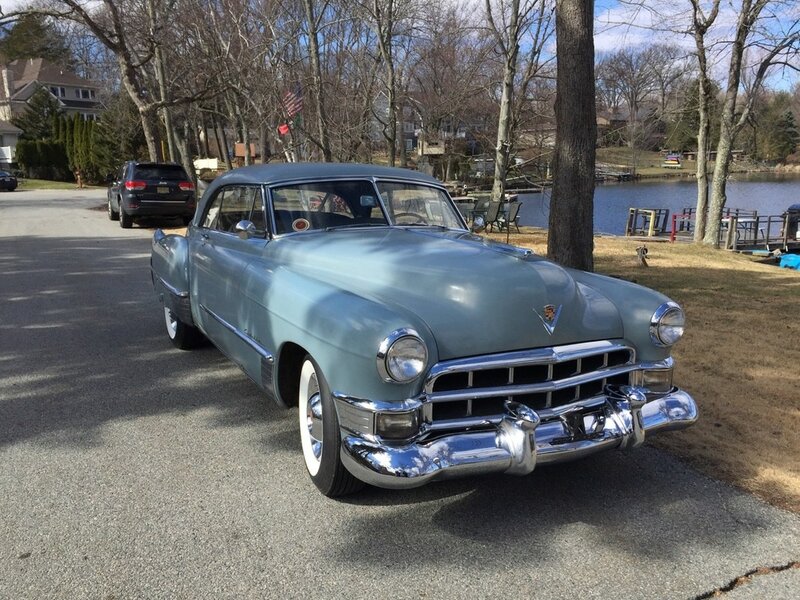 The car has documentation including maintenance, provenance, build sheet, original ID card, letters from the second owner to the forth owner, older pictures of the car, pictures of the original owner, the second owner (Bruce Fagan), Myron C. Fagan, his wife, etc. The car has a secondary foot activated switch on the floor located near the headlight dimmer switch. Pressing on it activates a loud bell. Story has it that Minna used that bell to call her butler as she arrived home. The sound of the bell was a command for the butler to come and carry her purchases into her home. A demo of the sounding of this bell is included in the video footage. The 1949 Coupe de Ville was Motor Trend’s first Car of the Year. 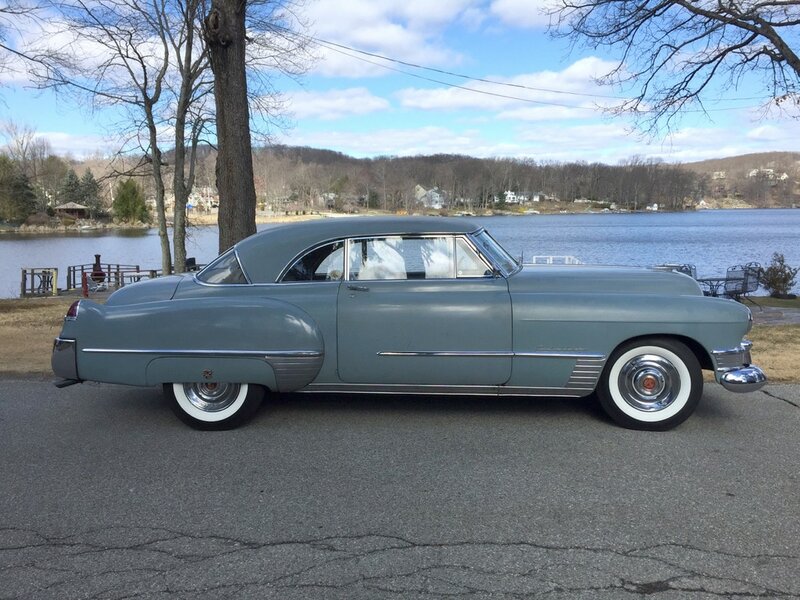 Motor Trend had considered the Oldsmobile Ninety-Eight Holiday Coupe and a Ford Model as the ’49 Car of the Year but they elected to award the Coupe de Ville because of its’ styling and more powerful overhead valve V-8 than the Oldsmobile. Ford, as well as other auto manufacturers, were still manufacturing flatheads or straight V8s in 1949. 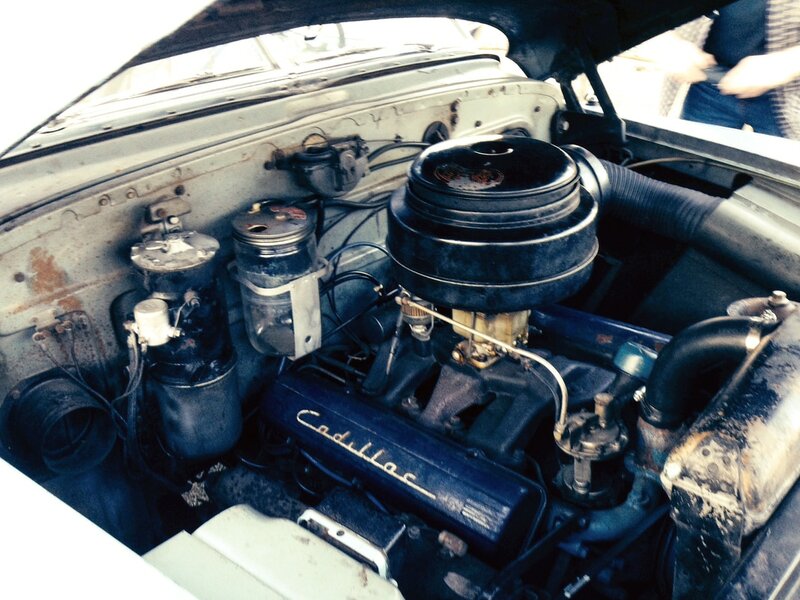 Ironically, the engineers of Oldsmobile created the design for both the Cadillac and Oldsmobile V-8 for 1949 and GM decided to equip the Cadillac with the better of the two engines. 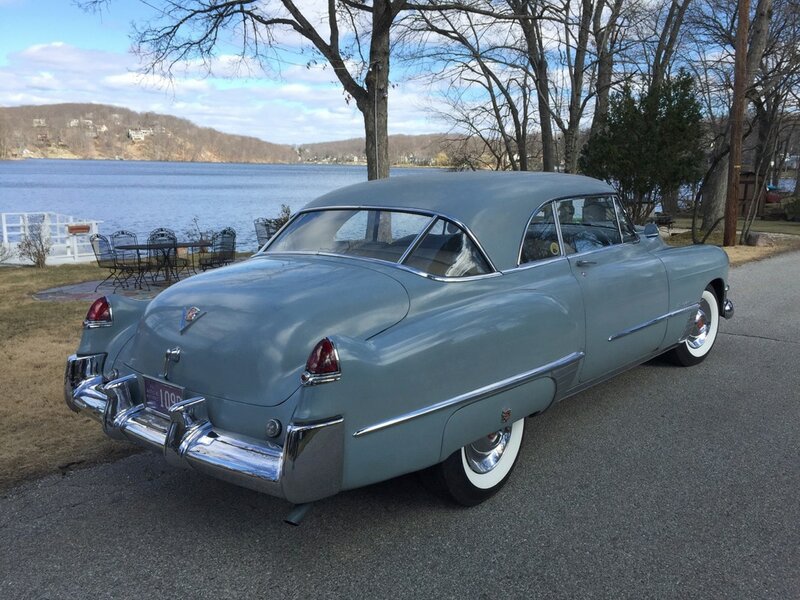 The ’49 Coupe de Ville was also considered the first hardtop coupe also known back then as a hardtop convertible. 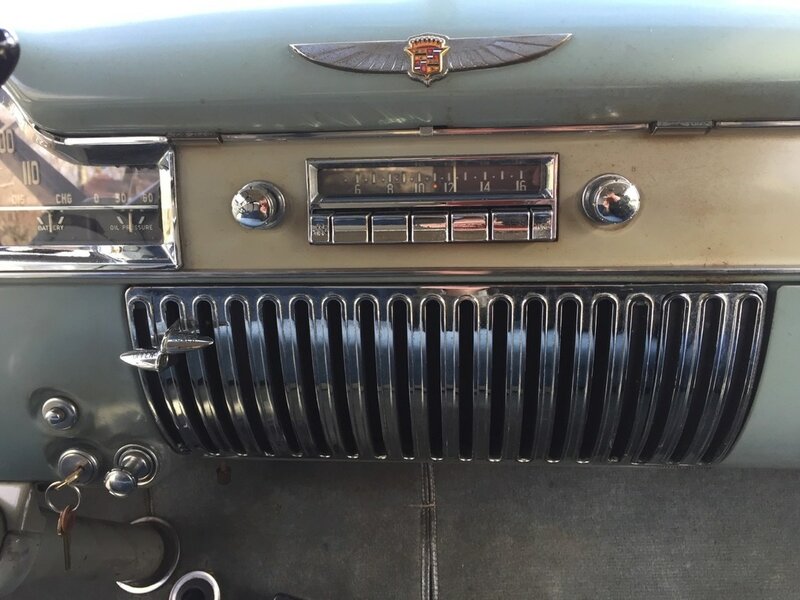 Technically, the ’49 Coupe de Ville was a factory modified convertible. The Buick Riviera and Olds 98 Holiday Coupe shared this same platform. 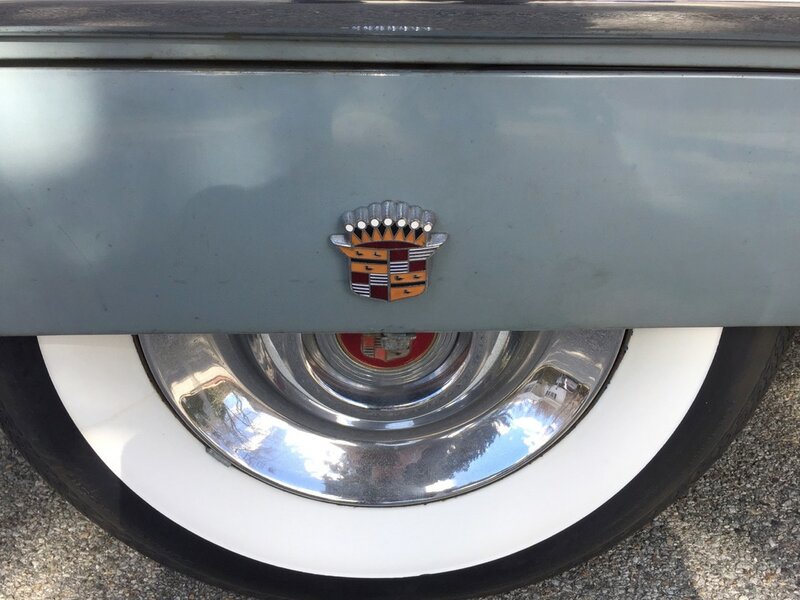 The ’49 Cadillac was also considered the first generation of Cadillac or any other automobile with a finned quarter panel. 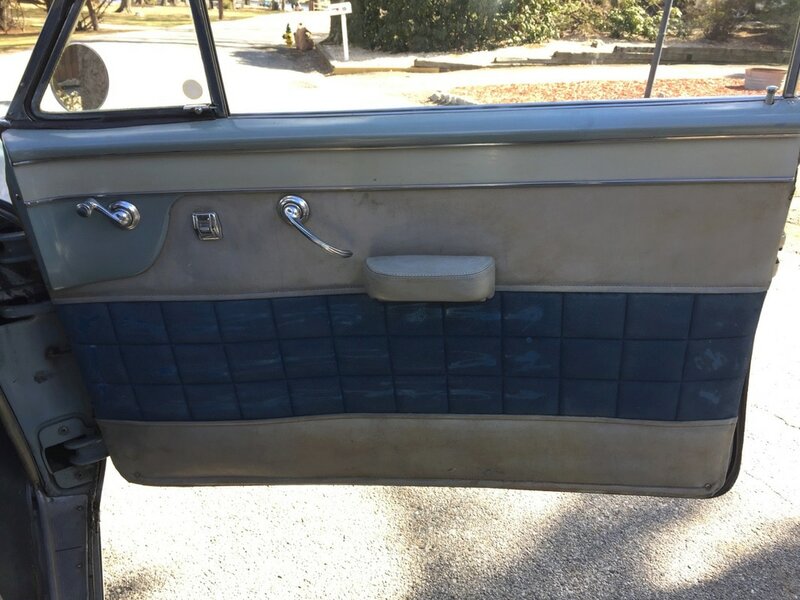 Some don’t refer to the ‘48/49 quarter panel as a finned rear panel. 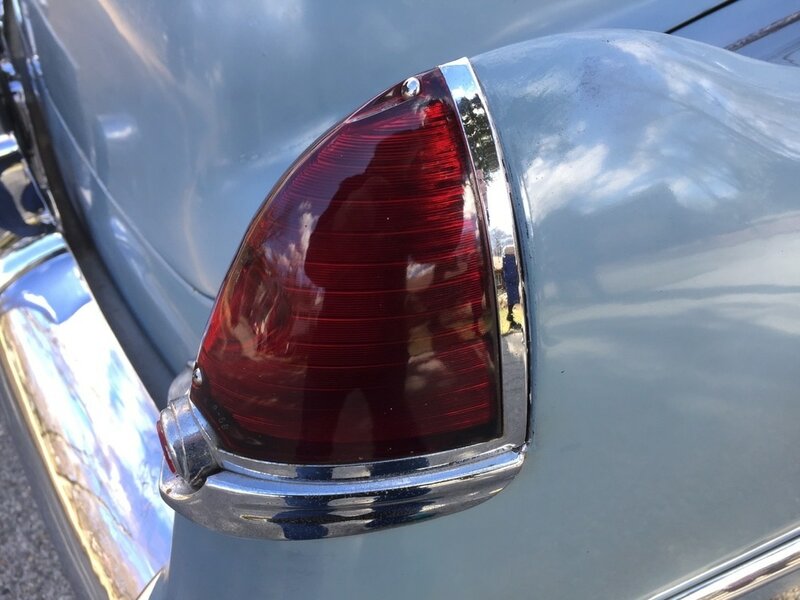 Some refer to it as a “fish tail.” But this was the body style that kicked off that characteristic that was adopted by other automobile manufacturers of the 1950s and ‘60s. 1949 meant the last year of the Sedanette, also known as the Club Coupe and introduction of the long standing hardtop coupe. 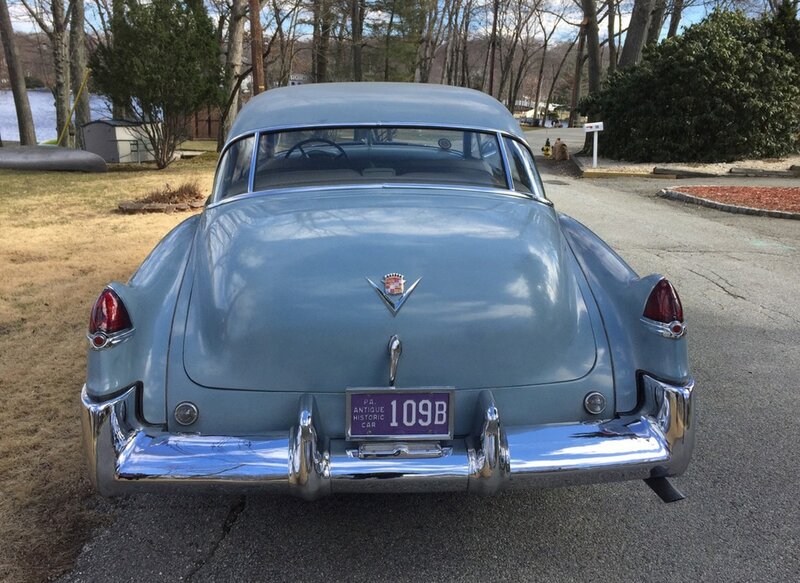 By the very early 1950s, other auto manufacturers followed suit and deleted their sedanette models and introduced their hardtop coupes as well. 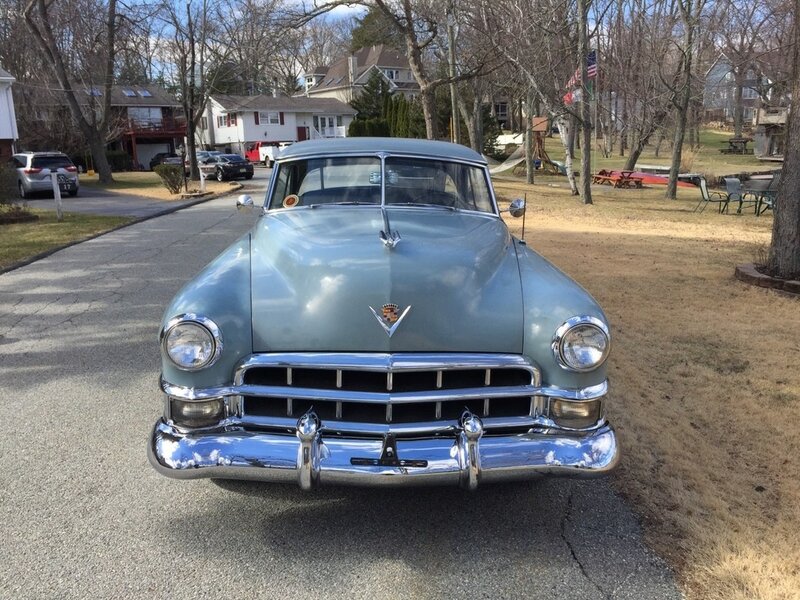 The 1949 Coupe de Ville is considered a Series 62 X. The “X” indicates it is equipped with hydro-electric windows and seat. 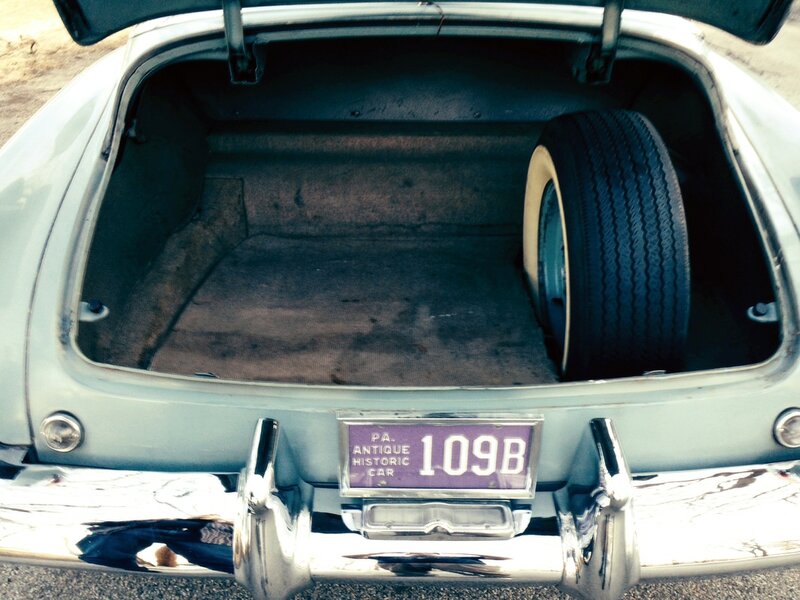 The ’49 Convertible is also technically a 62 X for the same reason. The hydro-electric pump, located on the firewall, also operated the convertible top. The hydro-electric pump in this car has been cleaned recently. The seats and windows are operable. There is also a vacuum controlled antenna which may only require the replacement of a vacuum hose to make it work. Inquire about an update on that status. 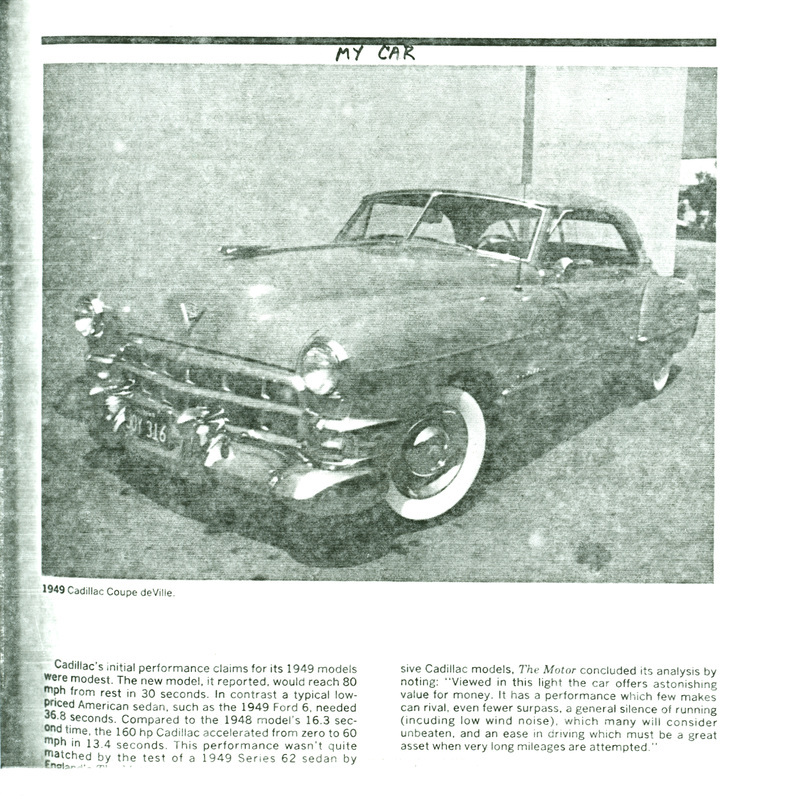 Minna Gombell took delivery of this Coupe de Ville on July 29, 1949. At that time, she was fifty-seven years old and had retired for the most part within a few years with the exception of a movie she made in 1962 with Sean Connery, “MacBeth”. Perhaps she was the original “Little Ol’ Lady from Pasadena,” although the car shows no sign of any abuse. Because of its’ low mileage and condition, it might be safe to say it was only driven to Church on Sundays by a little ol’ lady. 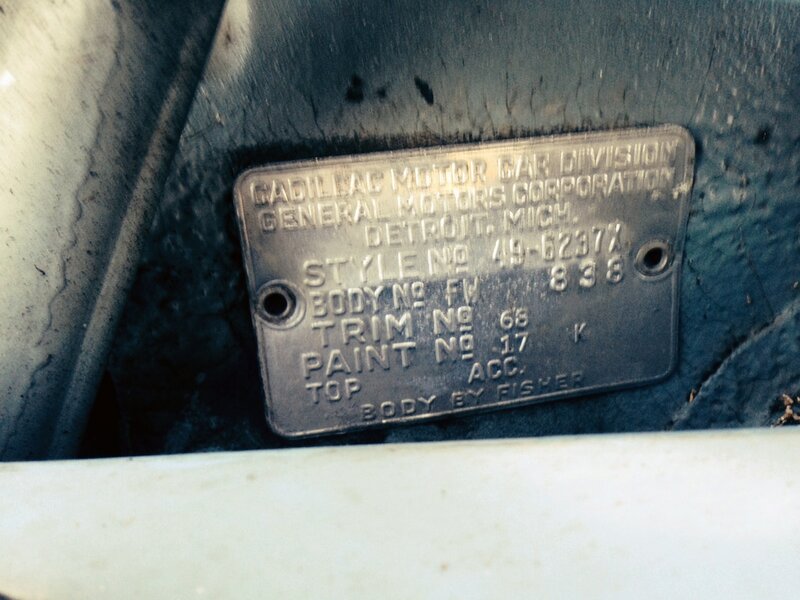 Documentation from GM shows the car was delivered to a dealership in Los Angeles, California. It remained in southern California for several decades. 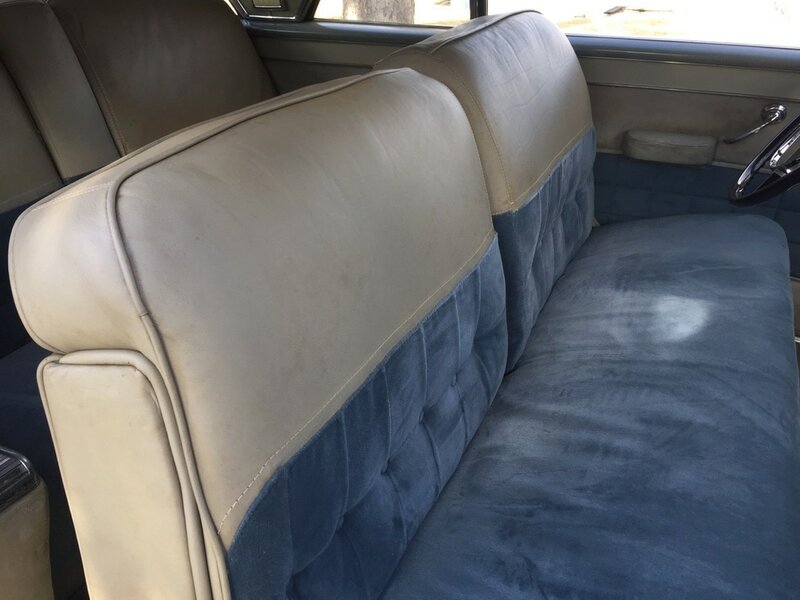 If anyone were to do a professional restoration on this car, the current integrity of this car would lower the cost of an professional quality restoration significantly. 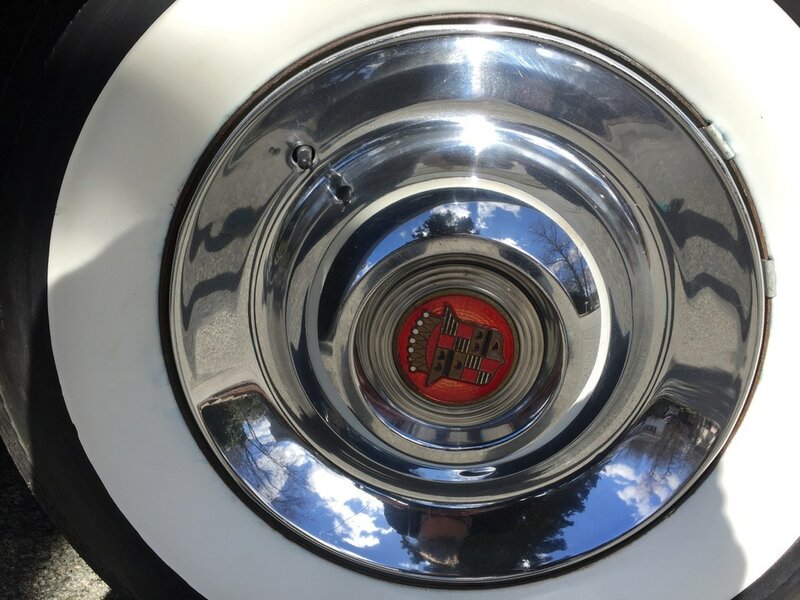 The chrome is very, very nice; the mechanicals are all very good and again, original; every part is there. Nothing is missing. All numbers are matching. The tires are new L78/15 bias ply tires. The radiator hoses are brand new as is the fan belt. 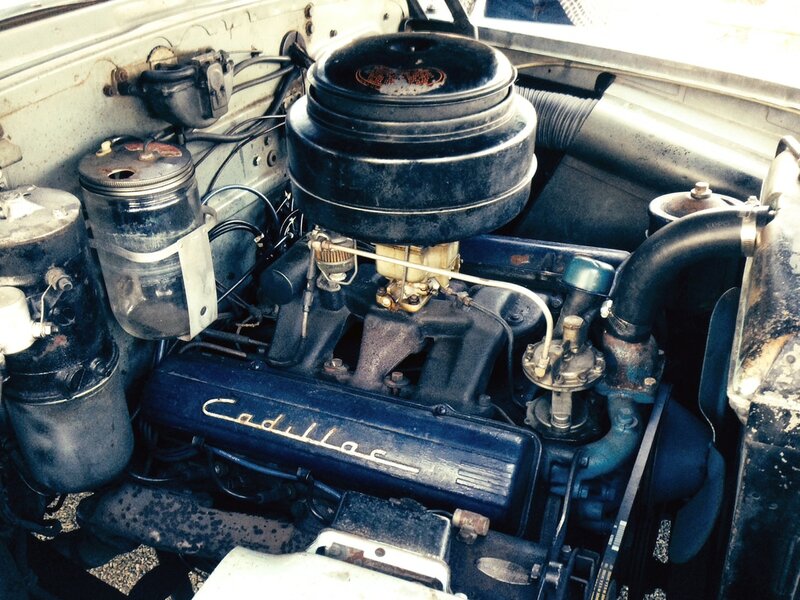 The radiator has been pressure tested when the hoses and fan belt were replaced. I believe the car has a stainless steel exhaust system. The brakes have new wheel cylinders and the brake pads have good linings on them. 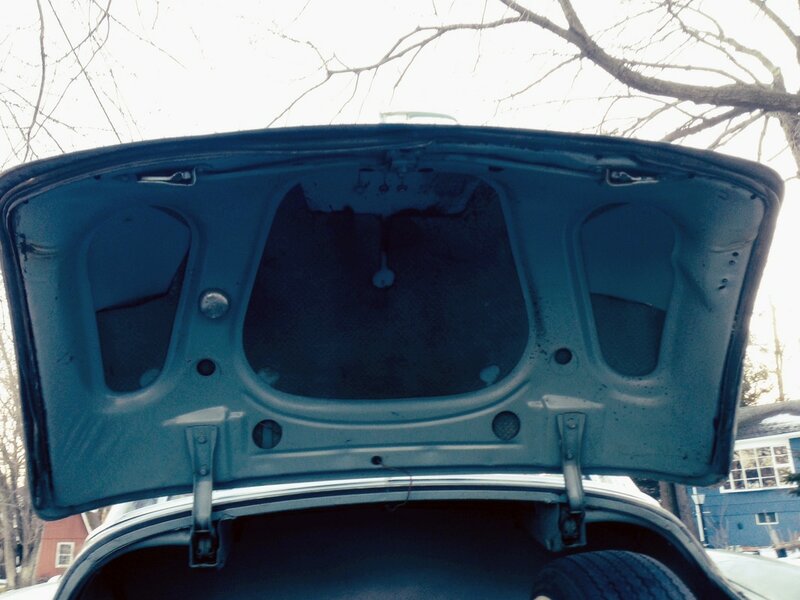 The underside of the car was sprayed with undercoating by the dealer (the factory did not undercoat these cars as it was an aftermarket service by the dealers). The undercoating is still in decent condition. In 1949, The Waldorf Astoria in New York City hosted the first “Auto Salon” since WWII. The same cars that were exhibit there were also exhibited in Paris as well. Harley Earl created a prototype models for this special event. 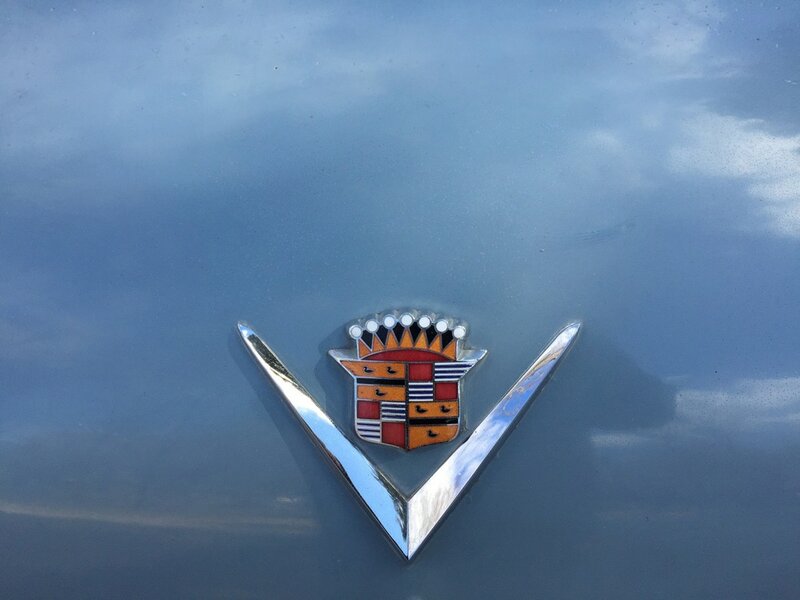 One was the Coupe de Ville. It was a big smash of a show. 16,000 people attended this show and some had direct conversations with people who had been driving a Cadillac Convertible, not because they can put the top down but the car had much better visibility which evidently, has always been a concern. The Thin Man (1934) – Minna starred with Myrna Loy and William Powell. Minna plays Mimi Jorgenson, the Thin Man’s wife who was described as a “showy blonde.” This film had many sequels. Boom Town (1940) – Western – Minna plays Eva opposite Spencer Tracy and Clark Gable. This movie was nominated for eight Academy Awards and won seven. It also won a Special Honorary Award.